I moved to a new town today. During the long, boring drive I took to get here I came across a small store filled with knick-knacks and assorted journals. Seeing as this move was a new experience for me, I decided to purchase one of the journals to document my time here. It won't be any of that "Dear Diary" garbage; I'm well over that phase. Perhaps I should address you, the journal, as a reader of these entries. It would certainly add an interesting purpose to them. I've got some unpacking to do, so I'll write more after everything is in its place. I suppose I should tell you about myself, Journal. My name is Vincent Demone. I'm a middle-aged man; I've short gray hair and dull brown eyes. Nothing special, really. I'm an incredibly passive person who prefers the company of none but my own. That's not to say I dislike people. In fact, I very much enjoy watching others go through their daily lives. People fascinate me. It's the interactions with them that I find displeasing. I've started to become well acquainted with many of the people in this town, Journal. It has a small population of about 50, so we're all practically neighbors. It feels like its own little world. Everyone here has a care-free personality that I can't help but admire. Perhaps I'll invite my newfound friends to tea sometime. It would certainly be a change to these silent halls. A thick fog has rolled into town, Journal. It's rather odd, seeing as we're miles from the nearest river. I spoke with the grocer about it the other day and he replied with a smile, "Ah, the clouds must've grown tired from floatin' up so high! They just need to rest." What an interesting imagination that man has. Despite how odd his reason sounded, I can't ignore the fact that he's correct. Fog is just low-lying clouds, isn't it? The fog still hasn't lifted, Journal. I wouldn't be so wary if not for the fact that someone has disappeared. The owner of the bakery had gone to the city to purchase a new oven, but she hasn't returned. It's been three days now. The people say she must have gotten lost, which is understandable; she'd never been good with directions. They are sure she will return. I wish I could share their ease. Something's wrong. Something's very, very wrong, Journal. There are only 27 people, including myself, left in this town. Some had packed up their belongings and drove out of town and into the fog. Others have disappeared without a trace. We believe the fog has taken them. As much as I want to reject the ludicrous thought, I can't think of anything else. All internet and phone services are dead and gone, which means we are unable to contact anyone outside the town. We've started to stock our homes with supplies so that we wouldn't have to go outside. Some people have gone so far as to board up their windows and doors. Why is this happening? It is the fog, Journal. I saw it. I saw what it did to that poor man. It's almost too horrible to describe. I was sitting by the window, watching the fog, when my neighbor exited his house. Immediately a sense of unease washed over me. I reasoned that he'd run out of food, and was rushing to the market to collect more. But he only made it as far as the sidewalk. 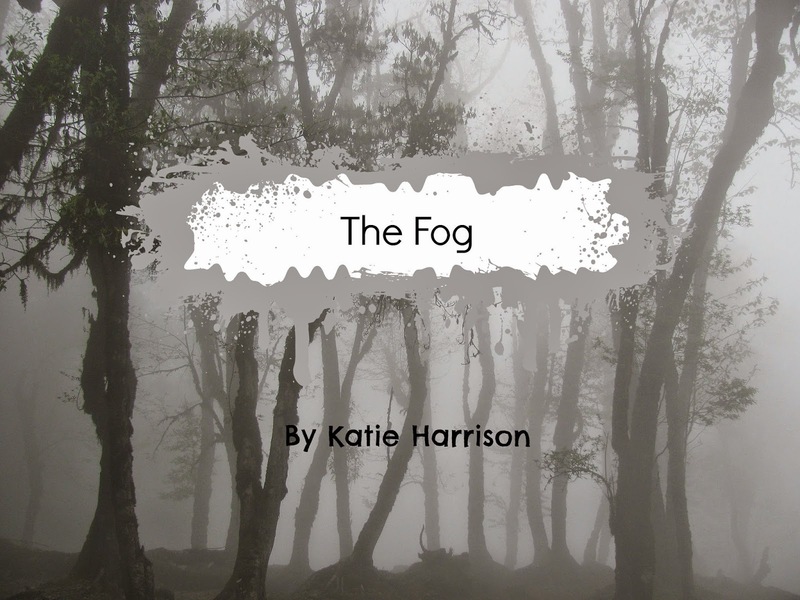 As soon as his foot hit the pavement, the fog rushed at him, enveloping him and mostly obscuring my view. I shot up out of my chair, knocking it - and my cup of tea - onto the floor. As my neighbor ran from the fog bits of clothing and flesh began tearing off of him, as if being sucked into the thick mist. I vaguely remember vomiting at the sight. All that was left of the man was his final, heart wrenching scream, which rung in my ears for several minutes. Even as I write this I can't erase the grotesque images from my mind. I don't think they'll ever go away. I'm afraid this is the end for me, Journal. I've gone and eaten all of my food and the water no longer runs. Letting the fog take me seems like a quicker way to go than starving to death. I'm sure others have already done the same. My only hope is that, after this fog has lifted, somebody will find you and understand what really happened here. Why this town was deserted. I'll leave this photograph of me on this page, just so the reader knows who I am. Okay, it's time. I must be off now, Journal. Thank you.